A soon-to-be-released book chronicling the history of Grossmont Hospital is now available for online ordering prior to its scheduled Jan. 8 release date in local bookstores. The book, “Grossmont Hospital: A Legacy of Community Service,” documents the history of the La Mesa hospital that is owned by the citizens of the East San Diego County region. The 153-page book, published by The History Press, can be ordered online through the publisher’s website, as well as Amazon. Newland, a longtime La Mesa resident steeped in city history, has authored other books on the histories of La Mesa and Mt. Helix. 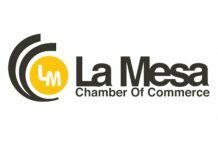 He is past-president of the La Mesa Historical Society and has served on the La Mesa Planning Commission since 2014. GHD, an East County regional public agency, assisted Newland and the publisher with the book’s research, providing historic photographs and documents. 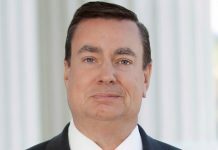 Earlier this year, GHD, which serves as landlord of Sharp Grossmont Hospital, invited the public to submit old photographs, newspaper clippings, promotional materials and other historical documents, some of which were included in the book, GHD officials said. Several other local residents, including former and current doctors, GHD board members and Sharp HealthCare leaders, are listed as contributors. In early 1952, eastern San Diego County's citizens voted overwhelmingly to establish the Grossmont Hospital District. Local civic leaders and physicians envisioned it as the vehicle for building a modern hospital to address the healthcare needs of their rapidly growing post-World War II communities. Then, in August 1955, the district subsequently opened Grossmont Hospital in La Mesa. For the next 65 years, the institution grew to serve suburban and rural residents spread over the 750-square-mile district. In dealing with the daunting challenges of modern healthcare, the governing board entered a precedent-setting lease for hospital operations with San Diego-based nonprofit Sharp HealthCare in 1991. — In the early 1920s, when the City of La Mesa was often called “La Mesa Springs,” Col. Ed Fletcher, founder of El Cajon’s Fletcher Hills community, initially offered to donate acreage for a hospital situated on an elevated ridge near the location of the motion picture Grossmont Studios. — As a follow up to the first efforts in 1921, another attempt to build a community hospital gained steam in 1928, only to be halted by the 1929 Great Depression. 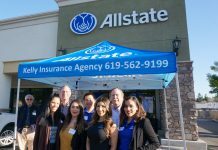 — In 1949, two community groups, the Suburban Hospital Association and the La Mesa Hospital Association, merged to form the Grossmont Hospital Association (GHA). The main purpose of GHA was to oversee the funding and construction of a new hospital and subsequent hospital district. — A special election was held on Jan. 8, 1952, to form the Grossmont Hospital District. With the possible cost of the hospital being over $1.2 million, only a state-sanctioned public agency with taxation and bonding abilities could cover the costs to build such a modern facility. On Election Day, volunteers manned more than 40 polling places. Transportation and babysitting services were offered to ensure participation by all eligible voters. East County voters approved the measure, 3,835 to 1,030. — In 1952, state funds to build Grossmont Hospital were delayed and diverted to California’s Central Valley for hospital repairs following a magnitude 7.3 earthquake that hit Bakersfield on July 21. — In 1955, the hospital’s first patient was eight-pound, three-ounce Randy George Callas, who was born 30 minutes before opening day. On the first day of operations, the hospital had 24 admissions, including four surgeries and five births. 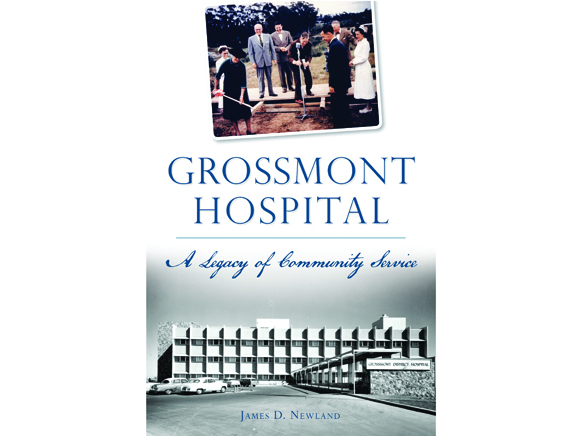 Retail price for “Grossmont Hospital: A Legacy of Community Service” is $21.99. The Charleston, S.C.-based publisher is one of the nation’s largest publishers of local and regional content. Its website states: “By empowering local history and culture enthusiasts to write local stories for local audiences, we create exceptional books that are relevant on a local and personal level and bring readers closer to their community. The book is available at The History Press, www.arcadiapublishing.com/Products/9781625859341.